Should I make an offer? As a buyer you are in a powerful position, both in terms of the effect your buying decision will have on your own life, and on that of the person from whom you buy. If a property were some form of commodity like petrol or milk, then you would simply buy the cheapest stock available. However, buying a home is much less mercenary, and emotions run high. Over the years, homebuyers have become used to the idea of making a “starting offer” below the asking price, but it might be worth considering a few aspects of the implications of making a low offer. Firstly what does a low offer say about you to the vendor? That you don’t have the money and that any subsequent increase might stretch you beyond your ability to complete the purchase? Does it suggest you don’t really like their home, risking offence? 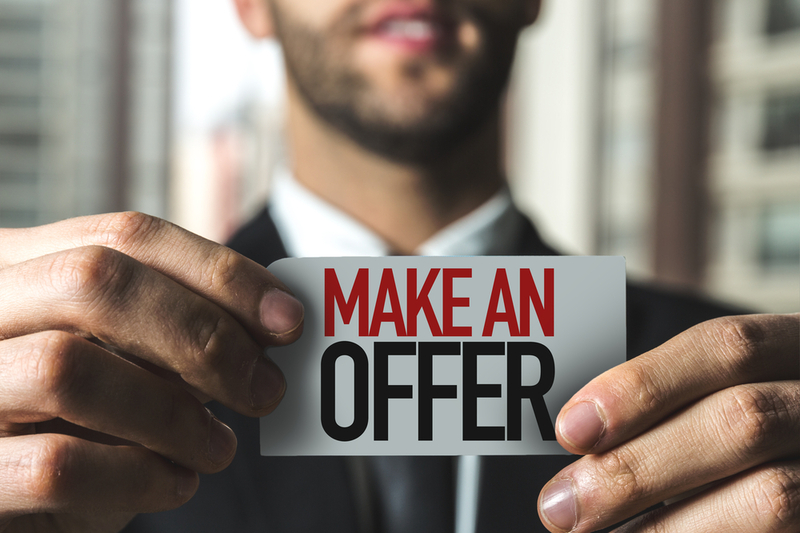 A low offer can often start off the relationship with the vendor on the wrong foot. And what if your low offer is accepted? Will the vendors experience regret and continue to market the property hoping to find a higher price with someone else? The chances of such a buyer being found are high as people usually want a property that someone else wants. We receive more interest about properties which are “under offer” than we do about those for sale! Ultimately it’s about commitment. An offer at, close to, a realistic asking price tells the vendor you are committed to the property. In return the vendor is likely to demonstrate a level of commitment to you that will result in a successful purchase. Remember, you are buying a home; is it worth losing your dream property for the sake of getting (and possibly losing) some sort of “deal”. Most properties sell for about the “right” price – all you have to be is the “right” buyer!